Decorative ceiling medallions create a pretty design element in any room and are a great way to accent a beautiful light fixture. Once made of heavy and hard to use plaster, they are now constructed of lightweight polyurethane or other plastic resins. This not only makes them easier to mount, but they are much less costly. Choose from a wide selection of sizes, shapes and designs to create any desired look. Medal lions range in size from 4-inches to 72-inches and designs are available from the simplest pattern to more elaborate Victorian styles to contemporary designs. 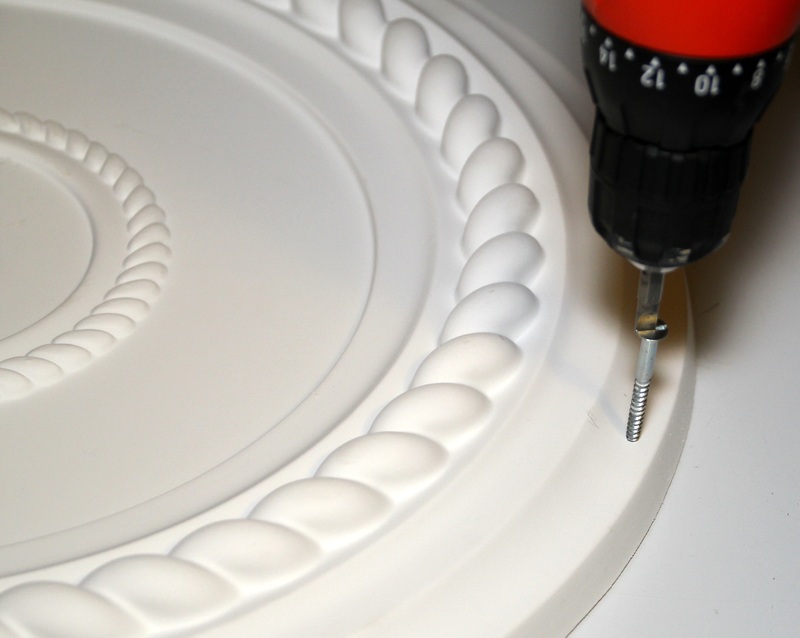 Ceiling medallions are easily attached to the ceiling using readily available adhesive caulk and screws or finishing nails. They can be stenciled, painted, antiqued, or color washed to create a special custom look. 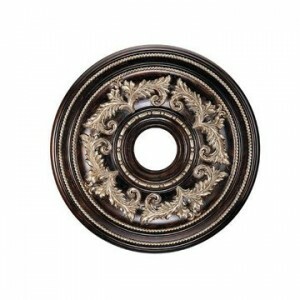 Van Dyke’s carries many styles of ceiling medallions and has recently launched the Restorers Architectural line of lightweight polyurethane medallions. 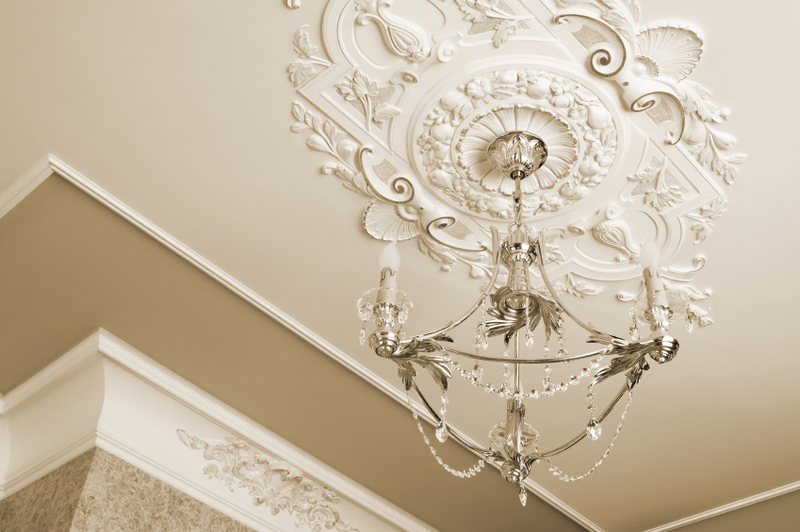 This ceiling medallion collection is modeled after original historical patterns and designs and are fully primed and ready to paint. Before starting, turn off power to the light fixture at the breaker box and then remove the old fixture. Scrape away chipped paint or caulk with a putty knife and clean the ceiling around the light fixture with a mild soap. 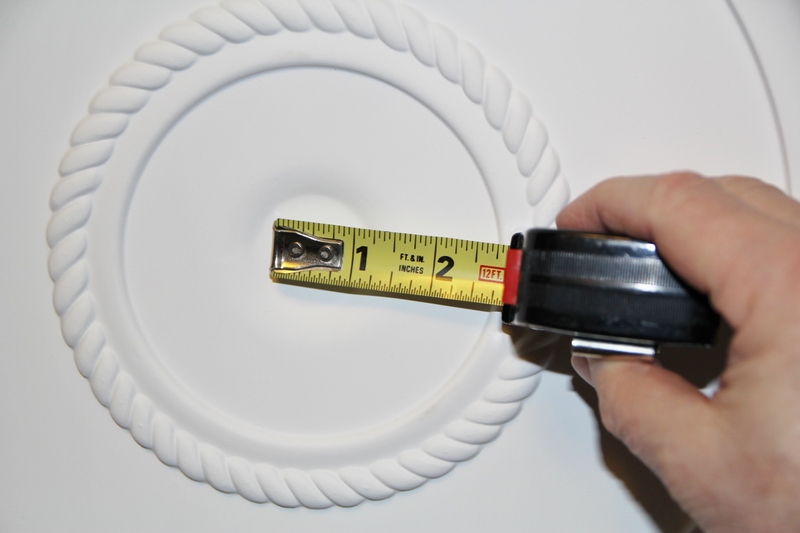 If your medallion is not pre-cut, you will need to measure for the center opening. Place the fixture’s decorative cover plate on the face of the medallion and lightly draw reference marks around the edge of the canopy. 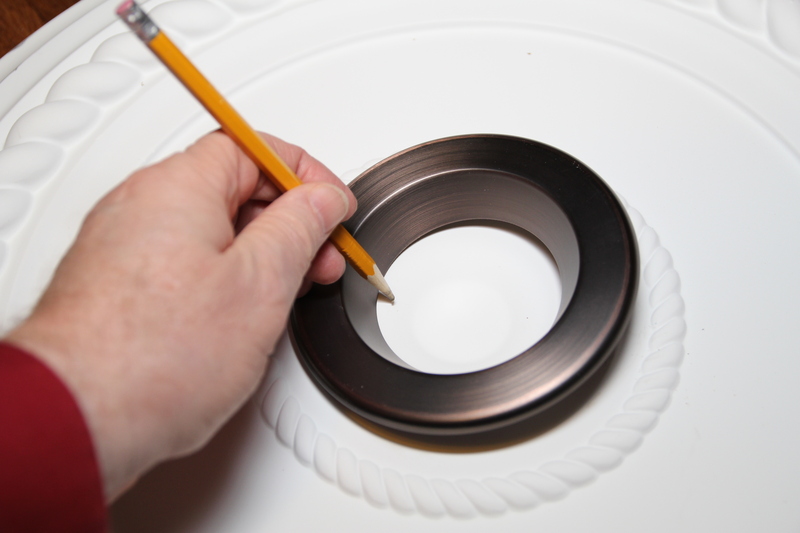 Using a ruler, measure 1/2-inch inside your mark and trace a circle using a compass. Using an electric spiral saw or hand saw carefully cut along the marked circle. Hold the medallion over the electrical box making sure that you can access the wires and the screw holes for the box’s hanging hardware through the hole. 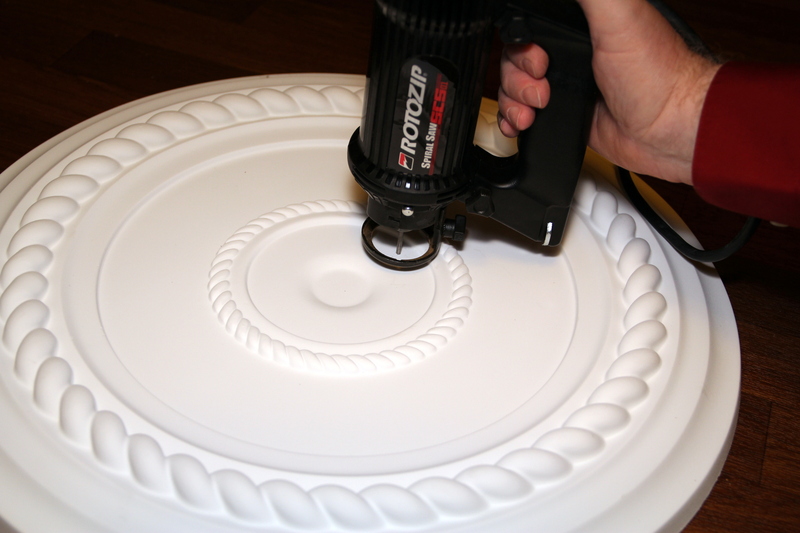 If you are going to paint your medallion, you can do it now before final installation. 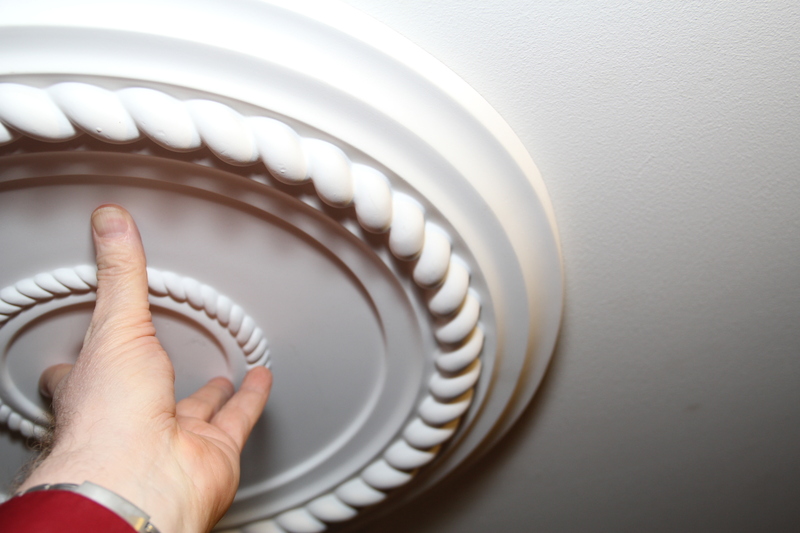 With the medallion face down, apply a generous bead of adhesive caulk over the entire back. Stick the medallion in place on the ceiling, centering it over the junction box. 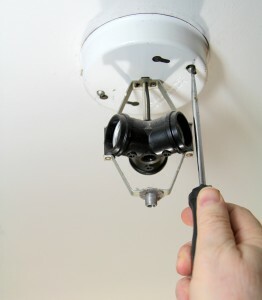 Using a screwdriver or power driver, drive two trim-head screws through the medallion and into the ceiling to hold it in place while the adhesive sets. 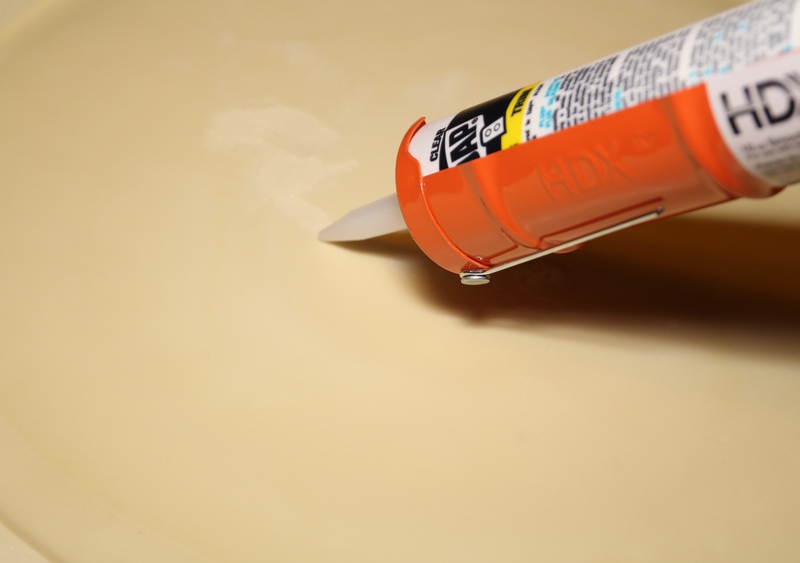 Putty or caulk over the screw holes and sand smooth when dry. Touch up paint over the screws. Larry is an award-winning journalist and photo journalist with over 35 years of experience. He has written for a number of industries including healthcare, die casting, construction, home restoration, sports, education, and religion. He is a copywriter and blogger for Van Dyke's Restorers. Speakeasy Grilles and Grates … Safety with a Nostalgic Touch! What is a Rim Lock? Knobs and Pulls – What Are My Options? Copyright © 2016 • Van Dyke's Restorers®. All rights reserved.